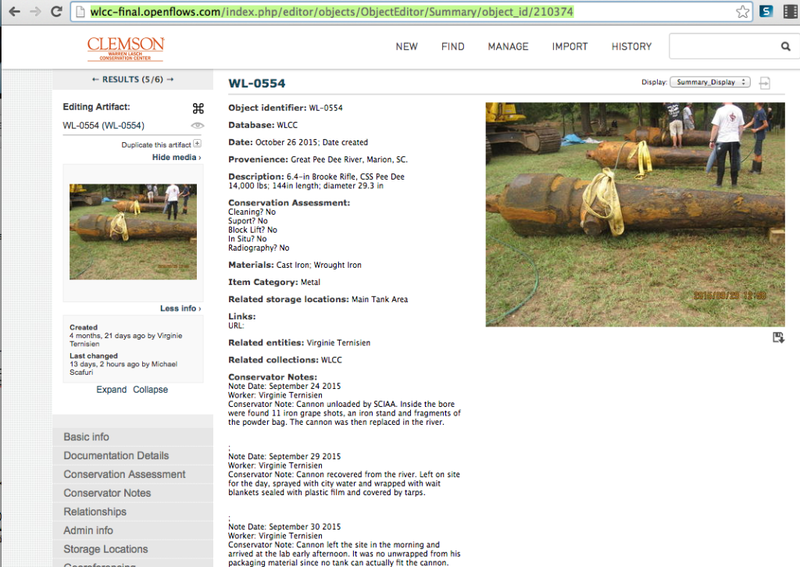 From 2014-2015, I worked with researchers and digital conservationists at the Warren Lasch Conservation Center at Clemson University to create a digital collection management system for the archeological research on The Hunley. Using CollectiveAccess as our destination, we imported over 90,000 records from MicrosoftAccess, cleaning the data and mapping it onto a more modern metadata schema. I created custom interfaces into which the researchers could capture data, and custom searches which explored the objects and relationships in the database.